She attributes jumpstarting careers to being a teacher at her core. Years ago, she taught children with special needs in the elementary classroom and her teaching has spanned to the doctoral students she currently works with as an Associate Professor at Robert Morris University. Her international presentations include the United Way Powerful Connections for Women, The University of Oxford in England, and she will be keynoting on cruise ship in Cozumel for Women on Board for Success. Dr. Shellie lives her mission statement of globally educating, entertaining, and inspiring people as she looks for the unique skills and that each person has to offer. EPN Magazine stated to Dr. Shellie, “You are the role model to thousands of young women and currently branching out internationally, what advice do you have for the countless women and teenage girls wanting to following in your footsteps?” She replied that it is vital to see that you have innate gifts and skills inside that that when paired with a strong vision can make amazing things happen for yourself and others. A volunteer since a very young age, she was shown the beauty of helping others from her mother Libby Jacobs who engaged her family in helping people with HIV/AIDS. Even though she collaborates daily with incredible women to serve, she will always recognize her mother as her top role model for giving back to others. Now Dr. Shellie dedicates time and energy to raising awareness for multiple organizations for women and children here and abroad (such as Milagros Day Worldwide, Treasure House Fashions, and There Is No Limit Foundation). The charity that she has raised the most money for is the Homeless Children’s Education Fund and she does this by hosting and headlining fabulous Broadway-style performances at galas. She loves to pass on the passion for volunteering with her young daughter who plays and reads to the babies in the homeless shelter as her mother does Mommy Makeovers and other volunteer work. This often beautifully-styled fashionista is truly a master networker. She knows the art of finding likeminded people who have a passion for helping others. Her latest book, Ordinary People Extraordinary People focused on those who conquered obstacles and supported others in their goals through charities. Her 6th book, in progress, is about how to build collaborations based on commonalities and strong networks. Clearly, she has done this in building her own company and she wants to share the stories and tips from her guests on her respected radio show Empowering Women. 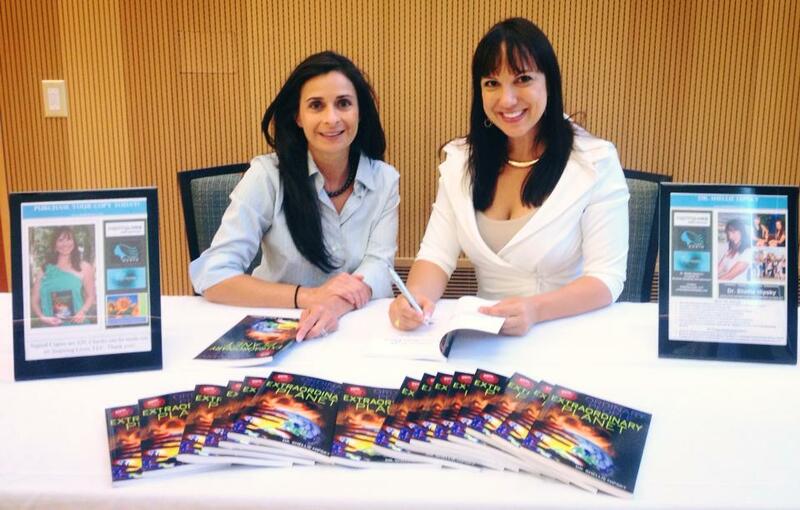 Dr. Shellie Hipsky in a Tony Bowls suit is featured with her book Ordinary People Extraordinary Planet and the Health and Wellness Expert for Inspiring Lives with Dr. Shellie Alice Beckett-Rumberger, Owner of Therafusion. Learn more or contact Dr. Shellie Hipsky through ShellieHipsky.com.